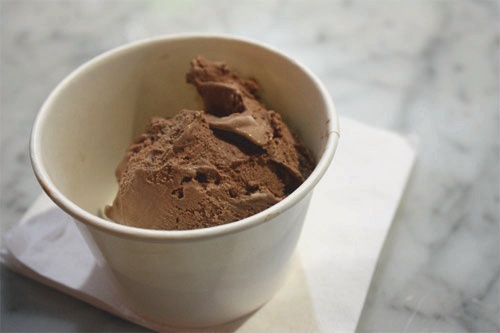 A recipe for Chocolate Banana Ice Cream containing over-ripe bananas for best taste. When chocolate partially melted, stir in cocoa powder. Stir hot chocolate/cream mixture in to eggs. Make chocolate mixture in ice cream maker. Just before ready, add banana mixture. Note: Use good quality, *very* ripe bananas. Otherwise your ice cream will have a strange flavor.